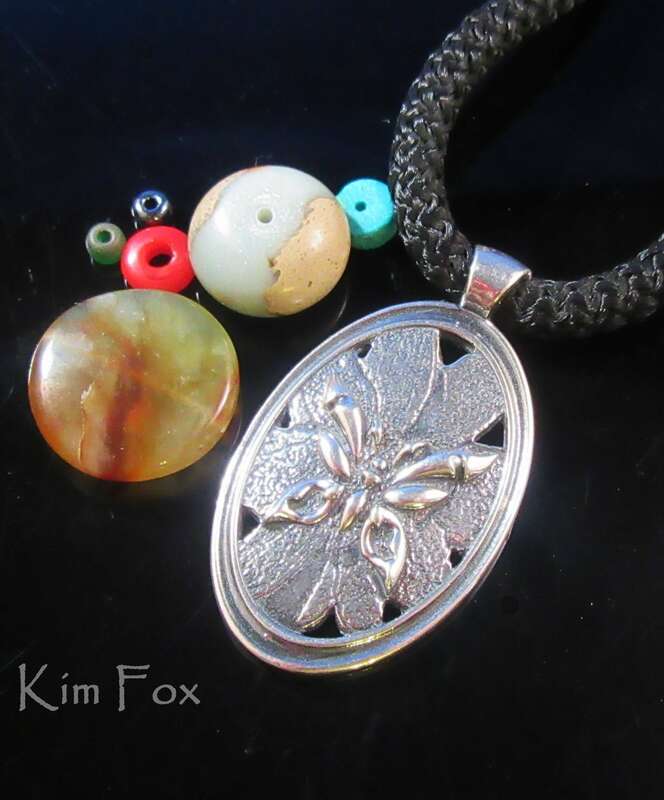 This pendant shows a dimensional butterfly landing on a wild rose. 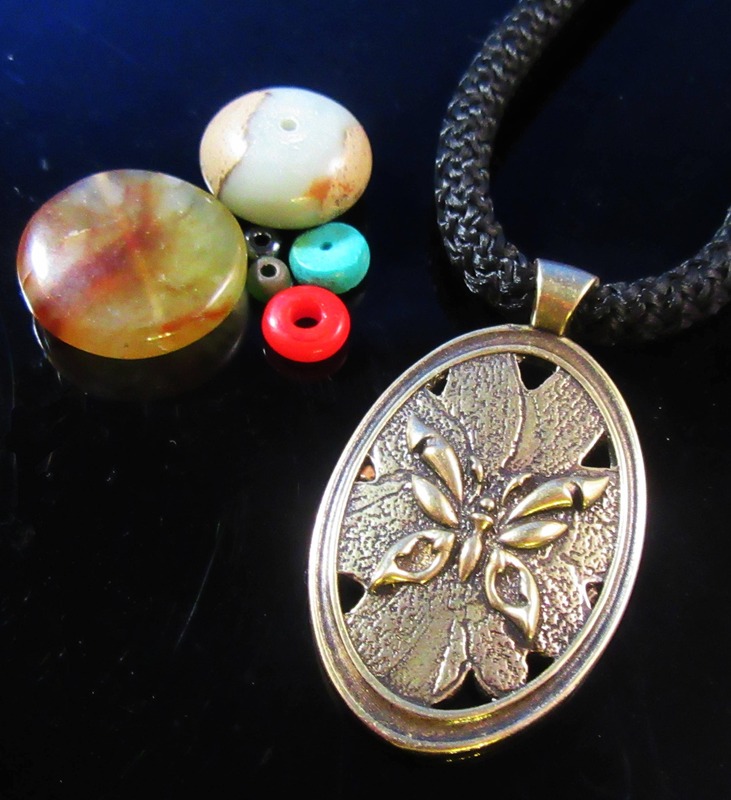 The oval part of the pendant is 1 1/2 inches by 1 inch. The bail adds almost a half inch to the length. The cord shown in the pendant is a 5mm cord so the bail is generous. 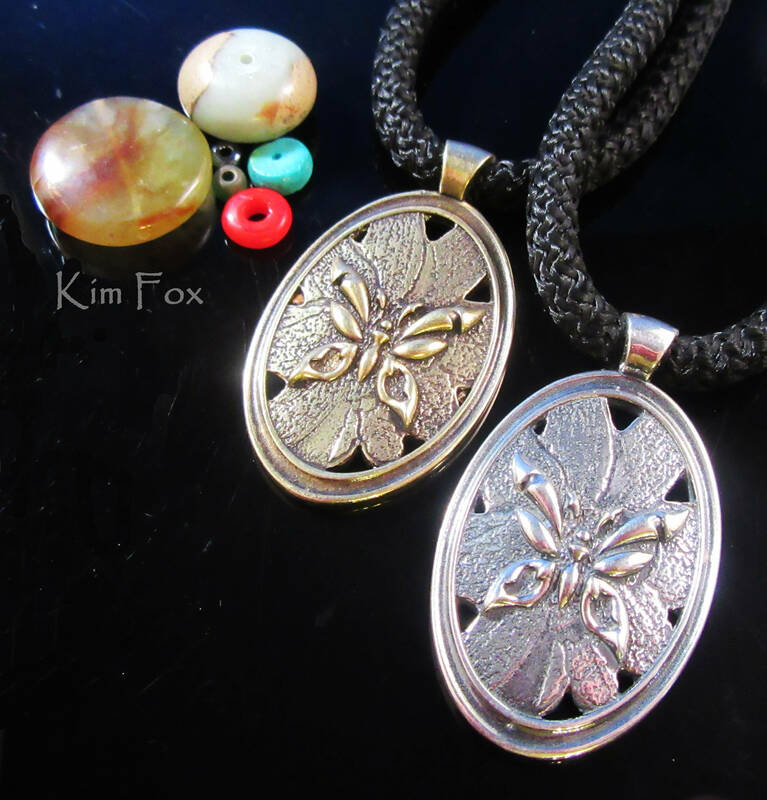 The pendant comes on a nylon braided cord with a simple secure clasp matching the pendant. The cord is about 18 inches long.